Conveniently located on the main shopping and entertainment thoroughfare Jalan Bukit Bintang, the five-star Westin Kuala Lumpur boasts 452 rooms and residences. Developed and constructed by the Malaysian listed Ireka Corporation Berhad (ICB) in 2003, this 120th Westin branded hotel ended the six year drought of deluxe hotel openings in Kuala Lumpur. A record sale price of RM1million a room was achieved in 2007 when ICB sold the Westin Kuala Lumpur to Thai based TCC Land backed Newood Assets Limited for RM455million. The hotel remains in the hands of TCC Land today, a member of conglomerate TCC group, owned by one of Thailand’s richest tycoons Charoen Sirivadhanabhakdi. 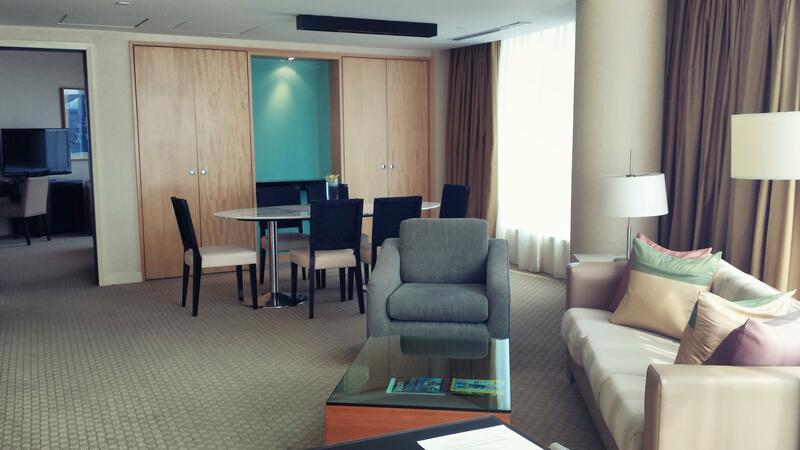 This is the second time we’ve stayed at the Westin Kuala Lumpur but a first in the Westin Suite. At 75 square metres, and located high on level 31, the Westin Suite offers spacious separate living and sleeping areas including a dining table for six. Floor to ceiling windows throughout provides plenty of natural light and an outlook over Bukit Bintang, the Pavilion Shopping Centre opposite the road and KL Tower. Contemporary decor and comfortable seating create a cozy area for socialising and an additional bathroom is available for the convenience of visiting guests. The king-size signature Westin Heavenly Bed is comfortable as expected and the room itself is as spacious as a normal guest room. The master ensuite features both a bathtub and shower with windows overlooking the city. Standard White Tea Westin bath amenities is somewhat a disappointment as opposed to upgraded amenities for Suite guests. Apart from its spaciousness, the Westin Suite felt rather bland. Whilst it’s maintained in good condition, it has been more than 10 years since the Westin Kuala Lumpur received its first guests and perhaps a refurbishment/update is called for especially as new hotels in proximity are due to come online. These include the boutique luxury Banyan Tree Hotel and Residence at Pavilion and the world’s first Harrod’s Hotel. 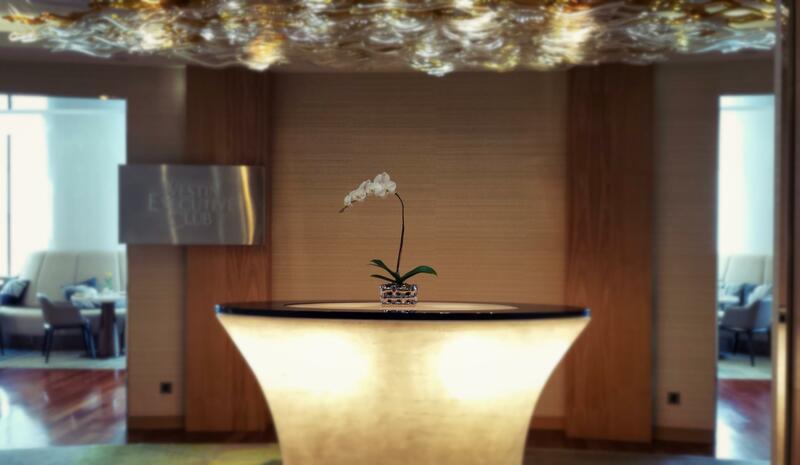 A saving grace is Suite guests enjoy exclusive access to the Westin Executive Club Lounge on level 3. Guests are able to check-in and checkout at the lounge and enjoy buffet breakfast, afternoon tea and evening cocktails and hors d’oeuvres daily. The light-filled Club Lounge offers an abundance of comfortable seating options, and is never too busy, making it an ideal relaxing spot. Like most Club Lounges, the breakfast selection is limited compared to the main restaurant but it’s adequately compensated by the peace and quiet awarded. Overall, Westin Kuala Lumpur once again failed to overwhelm and really lacked the extra touches that one would expect with a Suite stay. Comparatively, our stay at the Ritz Carlton Kuala Lumpur was a significantly more enjoyable experience. I love staying at hotels, new and luxe ones that is. Met with a warm welcome as you enter a grand lobby and opening the doors and seeing the sophisticated and thoughtful interiors of a fresh immaculate room…’I Love Hotels ❤’ is a series where I share hotel experiences that I’ve thoroughly enjoyed.